There are a number of similarities between Joe Hart and Wojciech Szczęsny. Both are young, talented goalkeepers with an extreme belief in their own abilities. Their respective career paths also follow a familiar pattern; signed from a smaller team as a youngster, successful loan spells and returning to their parent clubs to claim the No. 1 jersey. They have also made a series of high profile errors in their careers leading critics to accuse both of a lack of concentration and cockiness. At the start of the 2010/11 season Joe Hart returned from a successful loan spell at Birmingham City to compete with Shay Given for a place in Manchester City’s first team. There was a lot of speculation who Roberto Mancini would select for the opening match of the season at Tottenham Hotspurs and the Italian opted for Hart. The young Englishman was determined to keep his place in the starting line-up and repay his manager for showing faith in him. 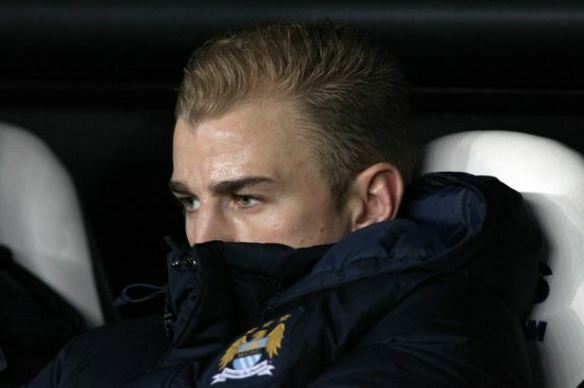 Joe Hart worked hard to maintain his level of performance and saw off the competition of his more experienced team mate who was sold to Aston Villa at the end of the season. Once both goalkeepers had reached the top and established themselves as first choice they may have become complacent. There was a vast gap in the quality of their respective back-ups with Fabianski, Vito Mannone, Costel Pantilimon untested at the highest level. Both were undisputed first choice at club level and their places weren’t under threat. After being sent off in the opening game of Euro 2012 against Greece Szczęsny was dropped for Poland’s final game in the competition, following his suspension for the match against Russia. Last season he was also dropped at club level by Arsene Wenger in favour of his Polish compatriot, Lukasz Fabianski. His return to the side coincided with an injury to Fabianski and kept clean sheets in his next two games.